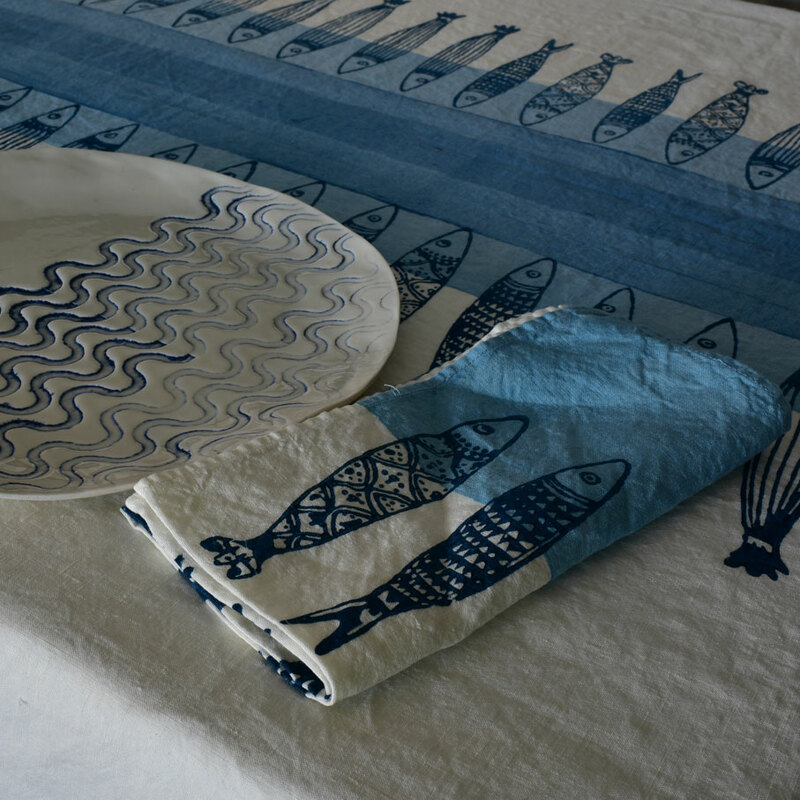 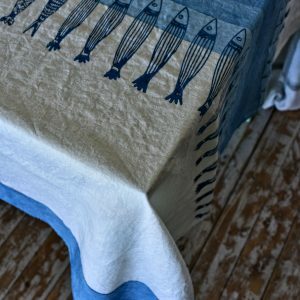 Our artisans demonstrate artful and deft printing and painting techniques in crafting these maritime and coastal collection table linens. 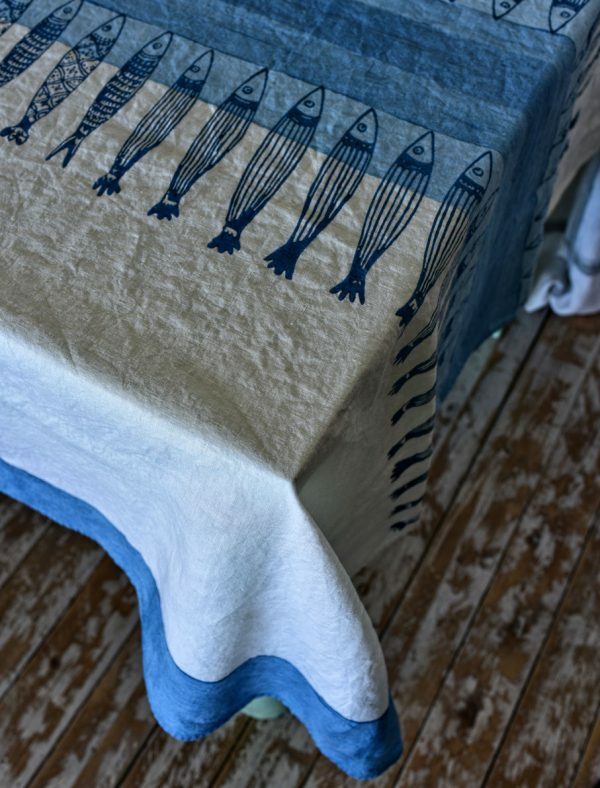 Inspired by the Mediterranean Sea these colourful tablecloths and napkins feature a stylish and chic hand-block printed costal design. 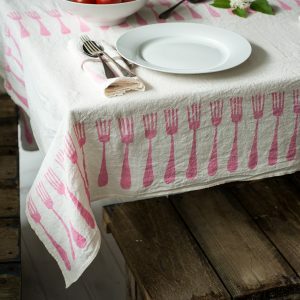 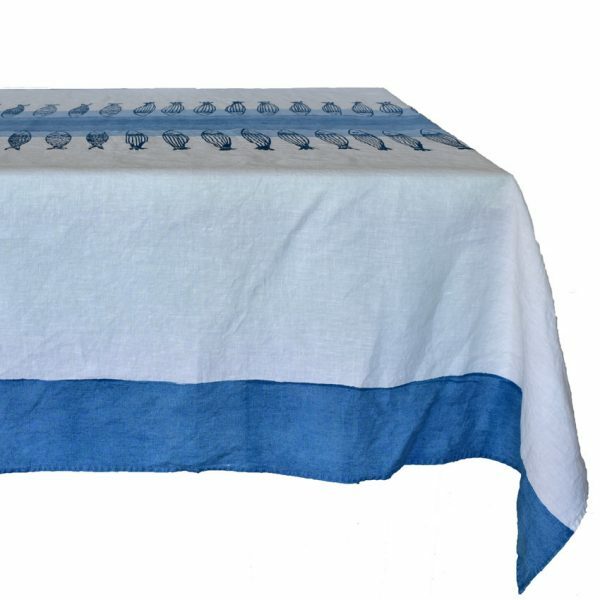 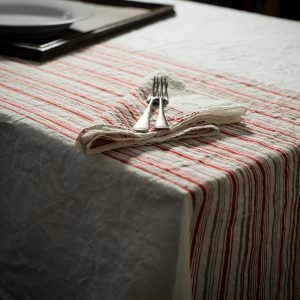 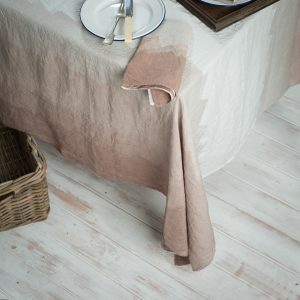 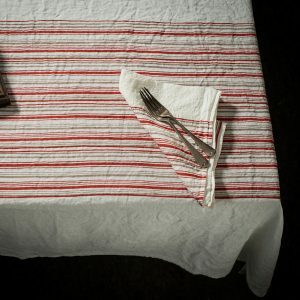 Finely crafted from 100% organic washed linen these exquisite tablecloths will suit any dinner occasion. 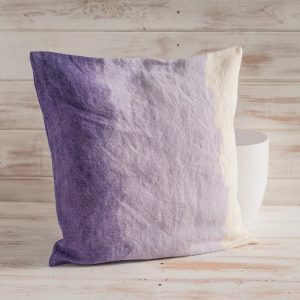 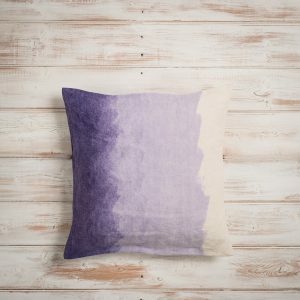 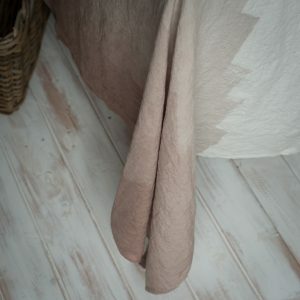 At AllÓRA, we want to help you find beautiful Italian artisan creations that reflect your individual personality and the special character of your home. That’s why we offer a bespoke service, so that you can talk to us about what you’re looking for – and we can arrange for the artisans to craft it especially for you. We will be more than happy to assist you by discussing your personal requests with our artisans.